Dior has its sights well and truly set on London, and it is opening a new Mayfair boutique to prove it. The French fashion house is opening the doors to its new 'House of Dior' store this week, following the showing of its 2017 cruise collection in the UK capital on Tuesday. The four-storey building was designed by star architect Peter Marino to bring together several elements of the Christian Dior brand under one roof. Appointing a new Dior creative director is a “work in progress”, the French fashion house's chief executive said on Tuesday, with the luxury label still to name a head designer some six months after Raf Simons left to set up his own brand. Dior, one of the world's most famous designer houses, announced Simons' surprise departure in October after some three years at the helm. “(It is a) work in progress, work in progress and we're giving it a little bit of time,” Chief Executive Sidney Toledano told Reuters. Alexander McQueen's Paris boutique has won the second edition of the Prix Versailles for Commercial Architecture, reports Women's Wear Daily. British Vogue celebrates 100 years in 2016 and is continuing its festivities with a newly launched video to look back at its 100 years of making fashion history. The video offers a brief history lesson into the iconic fashion magazine, currently helmed by Editor-in-Chief Alexandra Shulman, looking at everything from movie star makeup in the 1930s to the supermodels of the 1990s. Vogue recently released its Vogue 100 issue, starring the Duchess of Cambridge, and has celebrated its centenary year with a Gala dinner and birthday party, plus lots of fashion at the Vogue Festival and exclusive shop windows around the UK. By Emma Thomasson BERLIN (Reuters) – Shares in German ecommerce investor Rocket Internet slid on Tuesday after it reported that revenue growth slowed sharply in the first quarter at most of its top start-ups as it took steps to try to reduce their losses. Rocket has pledged that the 1 billion euros ($1.12 billion)it burnt through in 2015 will mark a peak for losses and promises to make three start-ups profitable by the end of 2017. On Tuesday it reported progress towards that goal as the quarterly absolute loss at its main start-ups fell 23 percent on the previous year to 140 million euros. 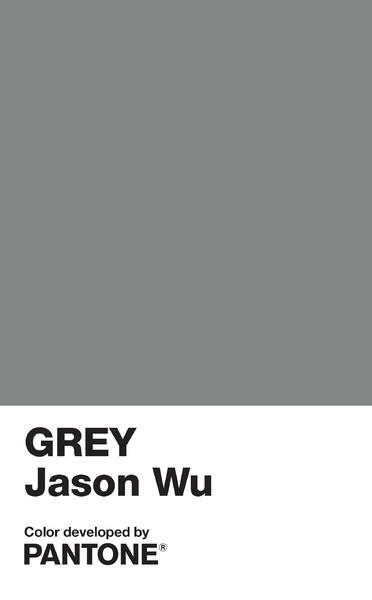 Jason Wu has teamed up with the global color authority Pantone on a custom shade of grey for the launch of his new fashion line. The designer has unveiled his own shade of the color ahead of the launch of his mainline label's sister brand 'Grey Jason Wu' this June. According to the New York-based Taiwanese Canadian designer, the idea for Grey Jason Wu was inspired by his friends' personal style and a desire to create a collection focused on chic silhouettes and playful graphics representative of his personality. Kate Moss's new capsule collection for luxury shirt brand Equipment has been unveiled through a sensual campaign video shot at the supermodel's home in the English countryside. The supermodel has designed a capsule collection for Spring 2016 for the cult label, known for its tailored menswear and modern, androgynous silhouettes. Solely designed by Moss herself, 'Kate Moss for Equipment' features casual pieces such as the brand's classic button downs and archived prints alongside bolder designs such as star-printed silk tie-neck shirts and cropped sweaters with a rock and roll edge. Nicolas Ghesquière tapped into the pre-Olympics fever that is sweeping Rio de Janeiro this weekend with his athletic take on resort wear for Louis Vuitton's 2017 collection. The French designer chose the futuristic Niterói Contemporary Art Museum for the show, channeling the building's billowing curves and oceanside location through a collection that was simultaneously sporty, dramatic and laid-back. Scuba-style dresses featured cut-out detailing, wetsuit-like collars and longer-length side panels, with stripes and racing check patterns emphasizing the sporty undertones of the collection. Seducing hyper-connected “Millennials” poses an increasing challenge for luxury brands, which find their markets slowing as young, skeptical consumers force them to rethink strategies. Goldman Sachs estimates that 92 million Americans are in the Millennial generation – born between the early 1980s and the 2000s – surpassing the famed cohort of postwar Baby Boomers who are now approaching a geriatric phase. The huge pool of Millennial consumers grew up with the Internet, smartphones and a sharing economy in which owning things like cars is seen as almost unhip. NITEROI, Brazil (AP) — The fashion world has flocked to Brazil, defying an outbreak of the Zika virus, political chaos and an economic meltdown afflicting the country to attend a runway show by revered French house Louis Vuitton.